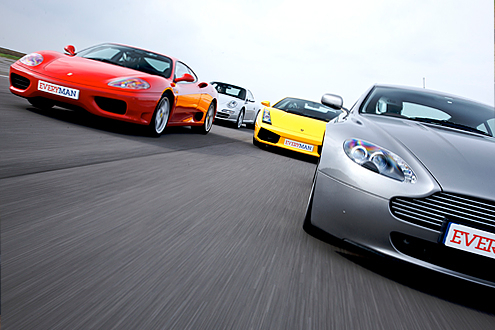 Satisfy your need for speed with four spectacular supercars! 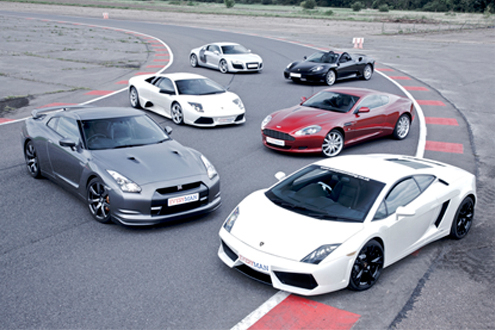 You won't be disappointed as you glide round the track in these infamous high-performance cars. Ever wanted to drive a Ferrari, Lamborghini, Nissan GTR and an Aston Martin on the same day or maybe other high-performance cars? 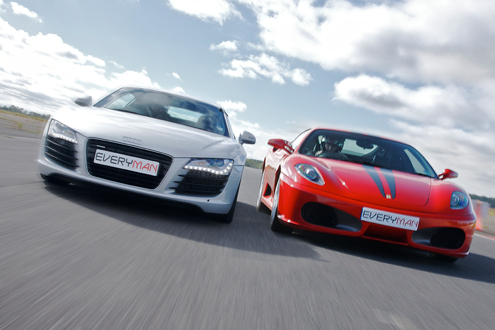 Then Everyman Motor Racing has the largest range of 4-Car Driving Experiences in the UK to suit all budgets and tastes. Choose from the following cars; Ariel Atom, Aston Martin, Audi R8, Bentley, BMW i8, Caterham, Ferrari, Jaguar F-Type, Lamborghini, Nissan GTR, Porsche, a Rally Car, Single Seater. 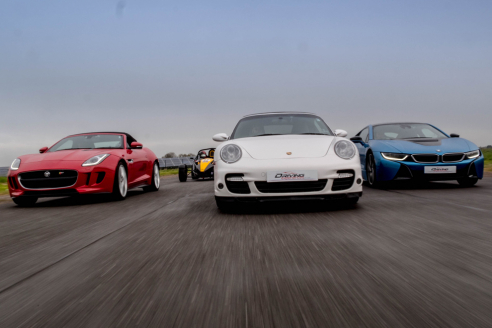 You can also choose one of our movie cars to drive alongside a supercar. 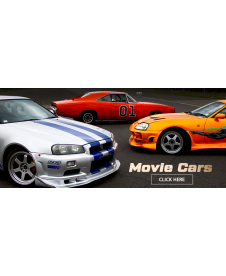 Choose from; The A Team Van, Iron Man’s Audi R8, Bandit Trans AM, Barricade, Bumblebee, Ford Turino, General Lee, K.I.T.T., Mustang GT350 and Nissan Skyline R34. The car you will drive will be authentic, but did not appear in the film. Please note; not all cars are available at all venues. 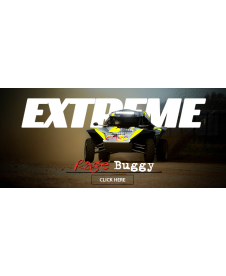 Please note that if a Rally car is chosen, the experience will be measured in minutes not miles. If the Lochgelly track is chosen, your experience will be measured in laps not miles. Thrill (Double the Distance) experiences are NOT available at the Lochgelly Track.